A big thank you goes out to my friend who introduced me to Miskin’s just before the Christmas break. He suggested trying this new restaurant when we decided to have a festive catch up. It made such a refreshing change to have some different types of food. Food that when we looked at the menu, there were no descriptions of each item. So the ones that we didn’t know what they were, had to be explained by the staff. From the exterior, it looks like this place has been around for a while. It reminded me of an old sort of tavern. But Mishkin’s is a fairly recent addition to Covent Garden. The sign on the outside is E.Mishkin and this is in reference to Ezra Mishkin who the restaurant is named after. Mishkin’s motto is an interesting one of “a kind-of Jewish deli with cocktails”. Inside the restaurant, it is quite atmospheric with its dim lighting and a bar area with high stools just inside the entrance. When I was shown to our reserved table, I was pretty surprised. The waitress took me towards the back of the restaurant and there was what seemed to be like a doorway. I was expecting to be taken up to another level or down some sort of a hallway. But this was not the case. The doorway was actually the entrance to a small cosy booth. It had a cute feature of where there was a light switch and the waitress told me that if we needed anything during the meal, then we just had to flick the switch. This would light up the sign outside the booth and we would be attended to. When my friends arrived, they were both equally pleasantly surprised by the booth. It was the right size for the three of us. 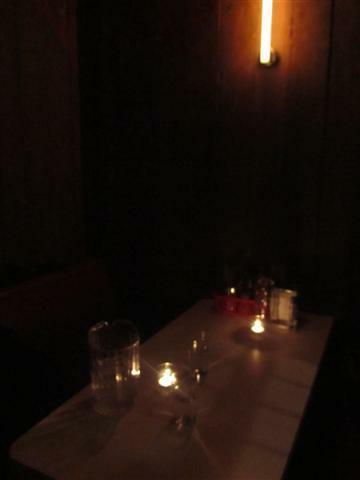 It was lit just by candlelight and a small tube light on one of the walls. The staff were really great and so friendly. They suggested lots of things on the menu that we should try and explained to us thoroughly the items on the menu that we weren’t sure about. As we had ordered a fair few dishes, the waitress asked if we wanted them brought out in two different sittings. This was a great idea and it meant that we weren’t overwhelmed with all the different dishes. So to start with, we were given the cod cheek popcorn, macaroni and cheese, cauliflower and caraway slaw. 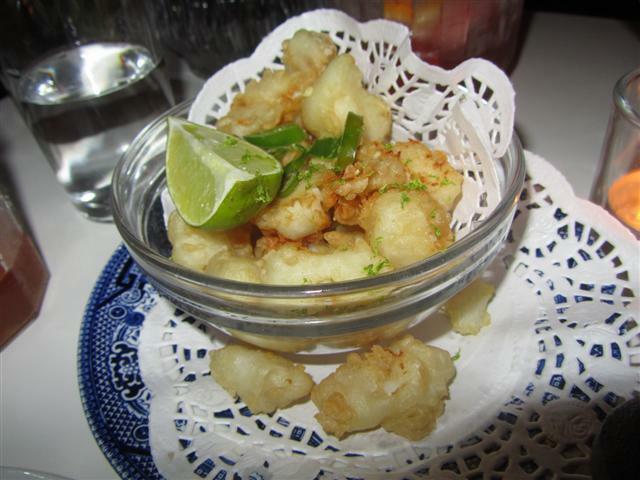 The cod cheek popcorn were delightful light bites of fish in a lovely crispy batter! Some things even though simple, when they are done well, they are perfect. This was the case with the macaroni and cheese. 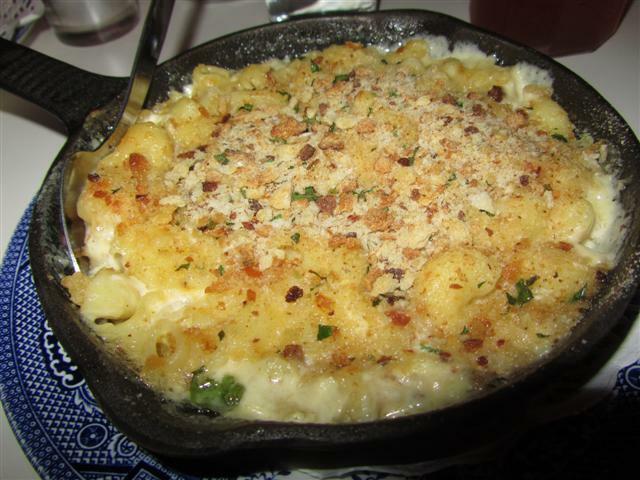 An iron skillet filled with piping hot creamy cheesy pasta with a crispy topping. A very moreish and addictive dish. 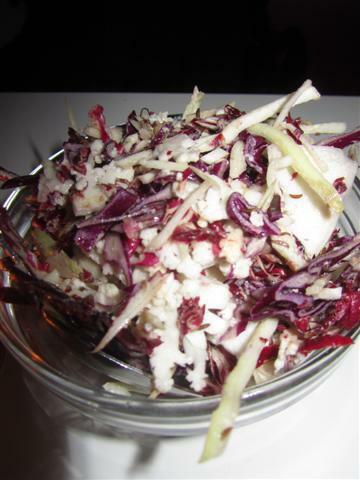 The cauliflower and caraway slaw was made up of shredded red cabbage and cauliflower. It was a great combination and had a good crunchiness to it. Our second round of food consisted of the chickpea, ricotta and spinach meatballs, whitefish and spinach knish and another side dish. The vegetarian chickpea, ricotta and spinach meatballs were a portion of three. 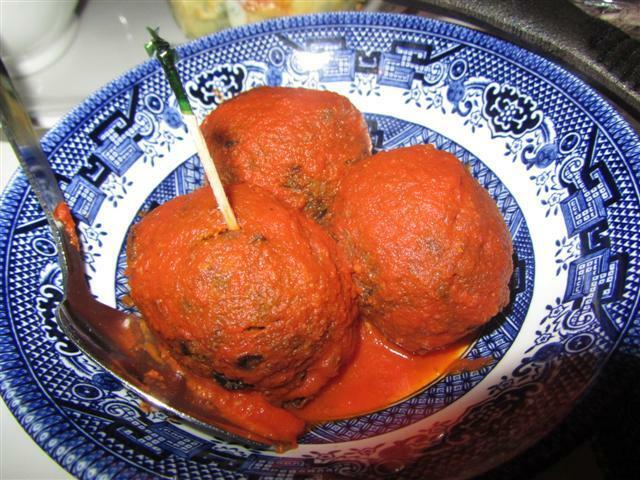 They were in a tasty tomato sauce and the flavour of the meatballs was fairly strong but not overpowering. Even just one of the meatballs was filling. 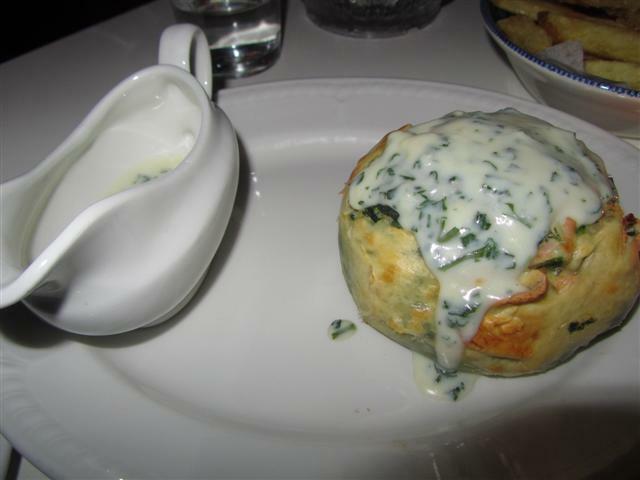 The whitefish and spinach knish was a bit like a fish pie with a thin pastry casing. The knish had generous chunks of fish together with a potato style filling. 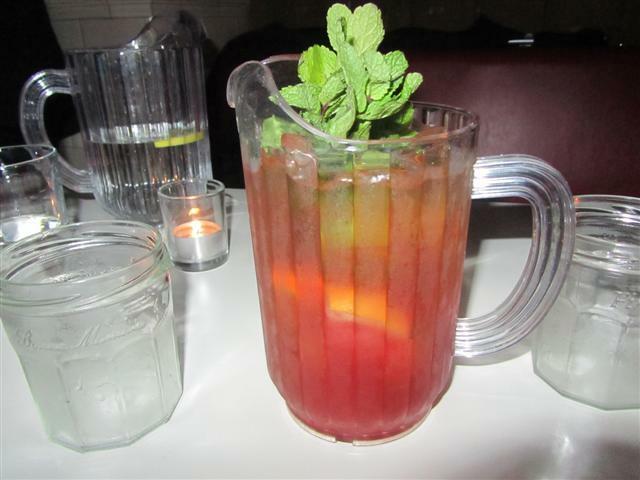 It also came with a jug on the side filled with parsley liquor. For the side dish, we had the half and half. This was half a portion of chips and half a portion of onion rings. The fried onion rings weren’t greasy and had a light batter. The chips were chunky with their skin on and just as chips should be. All of the dishes were presented in a mish mash of bowls and plates. A bit like the sort that we had at home when we were growing up. The plates and bowls were decorated with paper doilies. It all felt quite retro and quirky. Even when my friends ordered their cocktail pitcher, instead of being given glasses, they were given a couple of jam jars. 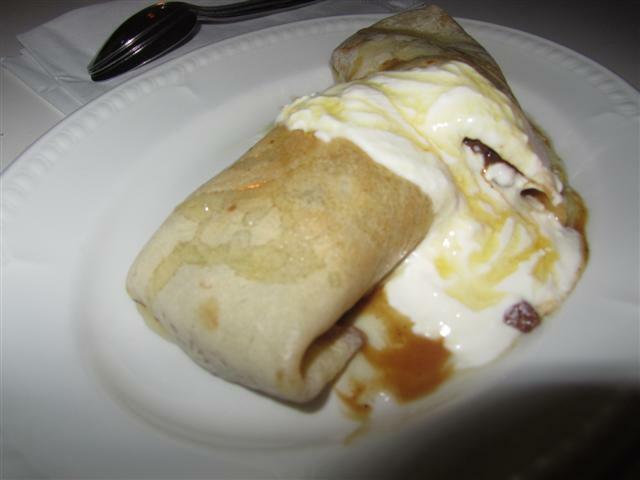 To finish off our meal, we had the apple and honey blintz. This was a pancake filled with chunky apple pieces and raisins. We originally thought that it was topped with ice cream but after tasting the white topping, we realised that it was yoghurt. The pancake and yoghurt were drizzled with a generous amount of honey. It was a nice enough pancake but we all only managed a few mouthfuls, as we realised that we were all quite full by this point. 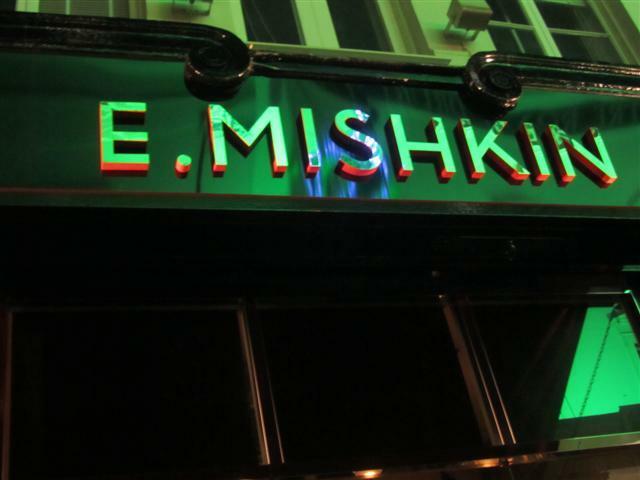 Mishkin’s was a great dining experience and the food was excellent. Mishkin’s is owned by the same group that have Polpo, da Polpo, Polpetto and Spuntino. Dining at Mishkin’s has made me want to go try the other restaurants in this family. Two wafer-thin slices of meat – and you’re calling this a Reuben. It’s more sauerkraut than meat. And it’s more bread than anything else. If I wanted a loaf of bread, I would have gone to a bakery. Marks and Spencer makes pre-packed Ham sandwiches with more meat than this thing! I’ve never seen such a stingy sandwich, let alone a Reuben. A place like this would be laughed out of existence in New York, New Jersey – or any state in America for that matter. What a let down… I will never return again.